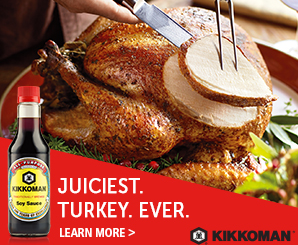 Kikkoman is one of the world’s oldest food companies. They've been using the same soy sauce brewing process for more than 300 years. Like fine wine, Kikkoman Soy Sauce is aged for several months to develop its characteristic rich, yet mellow flavor, appetizing aroma and distinctive reddish-brown color. Kikkoman sauces inspire consumers with irresistible and easy “gateway” Asian recipes via their multiple variations of sauces. 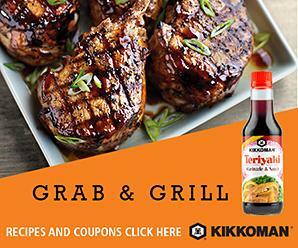 We asked our bloggers to share their recipes inspired by Kikkoman sauces. Check out their posts and learn how you could win a $100 gift card. Enjoy The New Year Flavor Sweepstakes on SheKnows runs from 01/9/2017 through 2/20/2017 and is only open to individuals who, at the time of entry deadline, are legal residents of the United States and are 18 years or older. Click “here” to read the official rules. Winners will be randomly selected from all eligible entries. Good luck! Enjoy The Soy Sauce Sweepstakes on BlogHer runs from 06/10/2016 through 9/04/2016 and is only open to individuals who, at the time of entry deadline, are legal residents of the United States and are 18 years or older. Click “here” to read the official rules. Winners will be randomly selected from all eligible entries. Good luck!